John Boucher, owner/operator of Greenlite Window Fashions is one of the most experienced window fashion experts in Southern Ontario. John is a consultant with over 25 years experience - he and his expert team of installers proudly serve homeowners all accross the GTA. 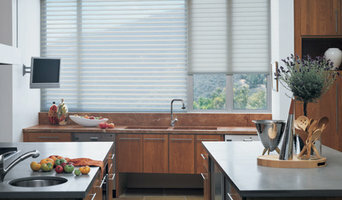 Greenlite Window Fashions is your one stop shop for great home window coverings. Shop at home service, quality products and professional service is the cornerstone of our business. We service condos and private homes alike. From window shades to shutters and sheers, we have the solution to every window’s need, and every homeowner’s budget. We are your experts in blinds, shades, and shutters. Rather than have a store-front, we bring the showroom to you. We offer a free, no obligation in-home consultation. We measure your windows and professionally install your window coverings. Most of our products come with a 5-year "no questions asked" warranty.